Catering to the requirements of agriculture industry, we are offering wide range Agrochemicals. These include Magnesium Sulphate Heptahydrate & Monohydrate, Magnesite-k (Indian Processed Kieserite), Pottasium Sulphate, Pottasium Schoenite, Copper Sulphate and Ammonium Chloride. 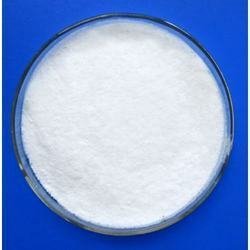 Our range is widely used in fertilizer and also used as fungicide and algaecide. It is used as a feed for cattle and appreciated for purity. 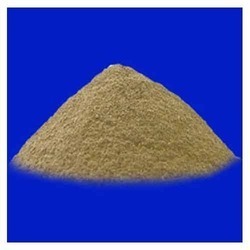 We offer Potassium Schoenite, which is double sulphate of potassium and magnesium. 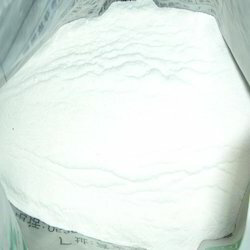 It is composed of minimum 23% K2O and maximum 11% mgo. This chemical is ideal for crops that do not tolerate chlorine such as , potato, sugarcane. Oil seed crops yields more when potassium schoenite is used. Our product is 100% water soluble, unlike imported fertilizers. 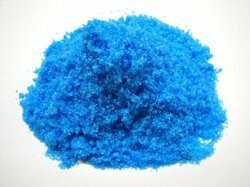 Our Copper Sulphate (CuSO4) is a salt that exists as a series of compound and differ in their degree of hydration. The anhydrous form is a pale green or gray-white powder, whereas the pentahydrate (CuSO4.5H2O), the most commonly encountered salt, is bright blue. The copper sulfate pentahydrate is a fungicide. By mixing with lime, it called bordeaux mixture, which is used to control fungus on grapes, melons and other berries. With the use of mixture of copper sulfate and ammonium carbonate, damping off in seedling is prevented. In addition, it is also used in swimming pools as an algaecide. Rock phosphate or Phosphate rock is a non-detrital sedimentary rock which contains high amounts of phosphate-bearing minerals. Our Magnesium Sulphate Monohydrate is widely used for preparing solutions such as medical preparations. Precisely formulated, our range is highly demanded in different industrial applications. Soaking in a warm bath that contains magnesium sulfate (Epsom salt) can be beneficial to soothe and relieve herpes outbreak symptoms, such as itching and lesions relating to genital herpes and shingles. We offer best quality Disodium Octaborate Tetrahydrate (DOT) widely used in agriculture mixes and treatment of wood. The product contains 20.5% minimum Boron. The product is similar to "Solubor". Other specifications are available on request. 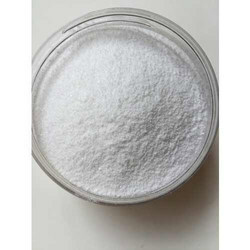 Avail from us Pottasium Sulphate (K2SO4), which is a non-flammable, white crystalline salt that is soluble in water. 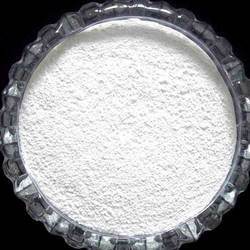 Our potassium sulphate chemical is generally used in fertilizers that consist of both potassium and sulfur. The crude salt is also used occasionally in the manufacture of glass. Looking for AgrIcultural Chemicals ?